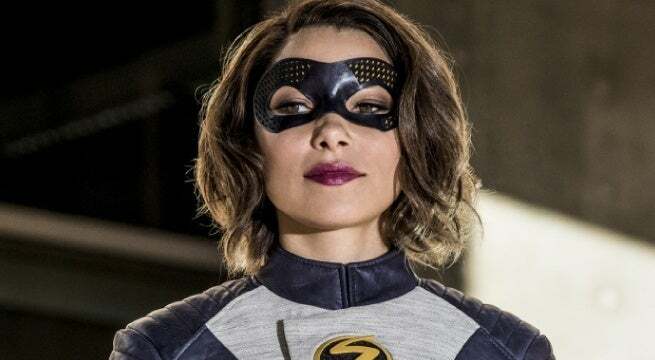 The Flash's newest season is still a month away from premiering, but the hit The CW series has already been making some pretty interesting waves today. The popular vinyl collectible company Funko recently debuted their newest wave of The Flash Funko POPs, which include figures of Barry Allen/The Flash (Grant Gustin), Wally West/Kid Flash (Keiynan Lonsdale), Cisco Ramon/Vibe (Carlos Valdes), and Jay Garrick (John Wesley Shipp). As fans, and even series star Candice Patton, of the series were quick to point out, this wave of figures was entirely male, ignoring some of the show's long-standing characters like Patton's Iris West-Allen and Caitlin Snow/Killer Frost (Danielle Panabaker). Funko quickly tried to remedy that problem, revealing an early look at the upcoming New York Comic Con-exclusive Killer Frost POP. The company's Twitter also addressed the campaigning for more female characters to be included, hinting that they would "pass the message on". While it's unclear exactly when more female characters might make their way into The Flash's POP line, we thought we'd provide our suggestions as to who we'd like to see. If you've paid attention to The Flash fandom online today, you've seen a lot of people clamoring for a POP of Iris -- and rightfully so. As we pointed out earlier this year, Iris has played an integral role in the mythos of Barry Allen/The Flash, something that was only elevated by Patton's portrayal in the television realm. It's safe to say that Iris has earned a legion of fans, many of whom would like to see Patton's portrayal of Iris celebrated in some form of merch. There also are quite a lot of possibilities for an Iris POP, both with her regular outfits and with the supersuit that she briefly donned last season. 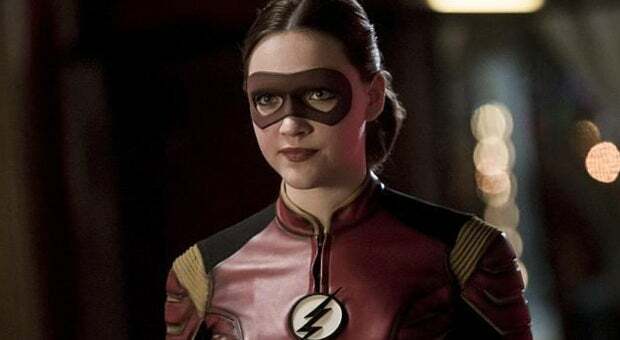 Jesse Quick (Violett Beane) might not be a regular fixture of The Flash anymore, but she still has had an integral role in the show's mythos - one that definitely warrants some sort of Funko POP. Since she made her debut in Season 2, Jesse has undergone quite the journey, becoming a full-fledged superhero who now spends most of her time guarding Earth-2's Central City. While she might not have as many appearances under her belt, she still has a unique role in the show's speedster landscape, as well as a costume that could transition to POP form pretty well. Plus, imagine how awesome Jesse Quick would look with the lightning effect that the new Barry and Wally POPs have. 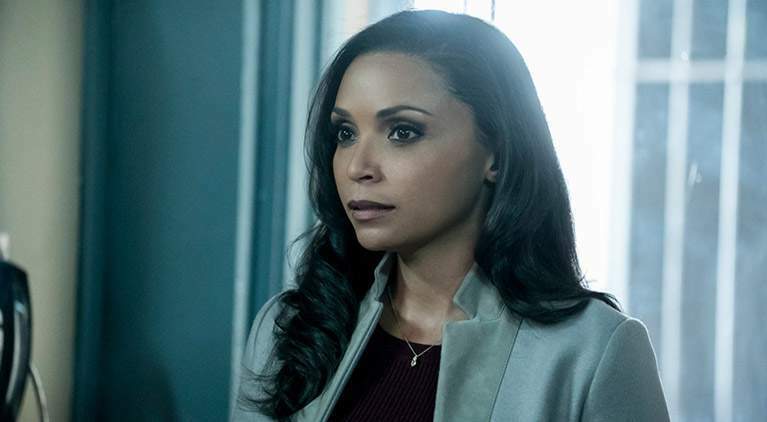 As Patton pointed out in one of her tweets about the POP wave, there are quite a few current female characters for The Flash to choose from -- including Cecile Horton (Danielle Nicolet). 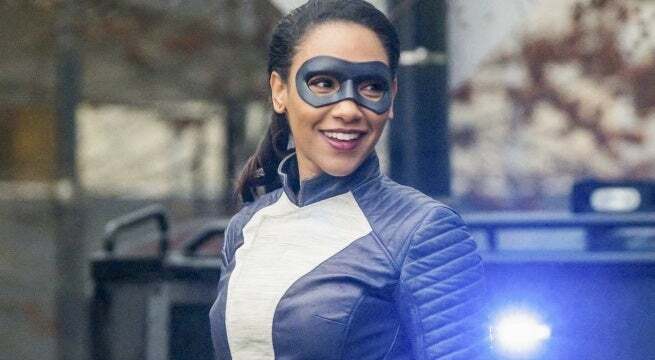 Cecile has had a pretty unique tenure over the course of The Flash, going from a small supporting character at the Central City Police Department to a facet of the West-Allen family. 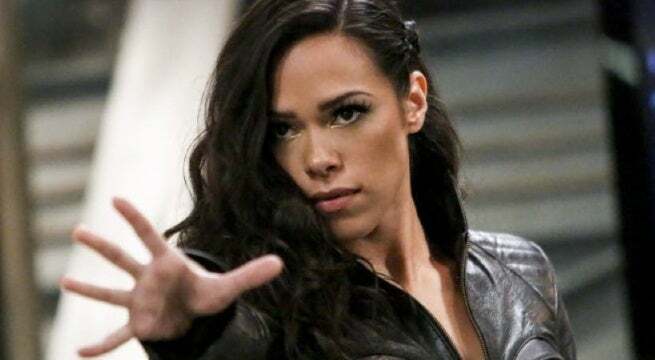 As her brief stint as a metahuman proved, she definitely serves as an asset to Team Flash, helping them in the final fight against The Thinker. Granted, Cecile doesn't have a supersuit, but that doesn't make her any less relatable to The Flash fans. And hey, Funko has made plenty of POPs for non-costumed characters in the past. Patton's list of POP suggestions also included Cynthia Reynolds/Gypsy (Jessica Camacho), and it's pretty easy to see why. Gypsy has also had a unique evolution over the course of The Flash, going from an antagonist of Team Flash to an ally, as well as becoming romantically involved with Cisco. All the while, Gypsy has injected a delightful personality into the world of Team Flash, as well as a pretty awesome set of powers. The new wave of The Flash POPs prove that Cisco's powers can transfer pretty well into action figure form, so there's no reason not to make a Gypsy POP as well. Sure, it's been two timeline changes since The Flash fans have seen Lisa Snart/Golden Glider (Peyton List). But that definitely doesn't mean she couldn't get her own action figure. For many, Lisa was a fan-favorite element of The Flash's first season, as the younger sister of Leonard Snart and a (mostly) reliable ally of Team Flash. While Captain Cold was given a POP counterpart shortly after Season 1, the same can't be said for Lisa (or now-Legends of Tomorrow staple Mick Rory, but that's a whole discussion for another day). Lisa's POP would be relatively easy design-wise, seeing as her costume basically boiled down to a leather jacket and jeans. But just give the Lisa POP her trusty gold gun and she'd be pretty perfect. 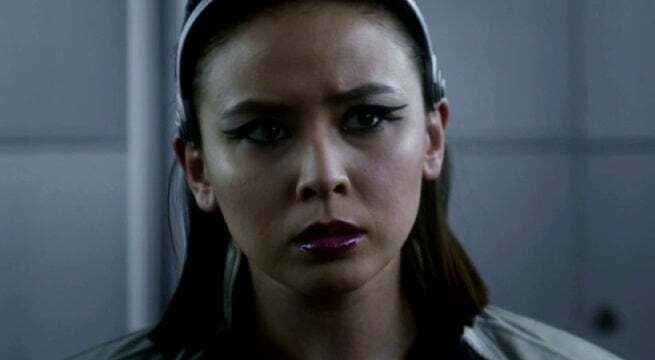 Much like Lisa and Jesse, Linda Park (Malese Jow) hasn't played as big of a role as she once did on The Flash, but she still had enough of an impact to beckon a POP. After serving as a brief love interest of Barry's in Season 1, Linda became a confidant and friend to Iris, which catapulted her into a pretty unique predicament in Season 2. In an early batch of episodes, Linda was confronted by her Earth-2 counterpart, Dr. Light, and agreed to impersonate her to help Team Flash take down Zoom. In the process, Linda got a very distinct costume, which would look pretty darn cool in Funko POP form. 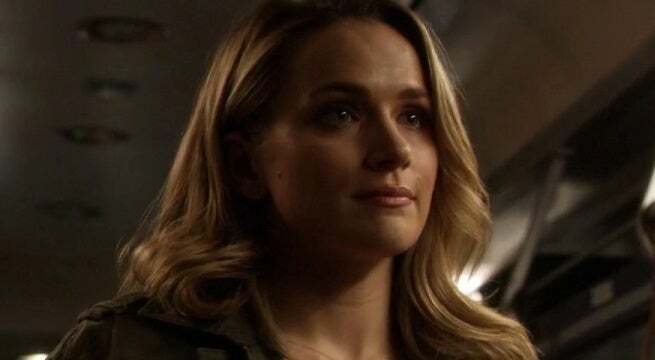 Another The Flash female character in the "gone but not forgotten" category is none other than Patty Spivot (Shantel Vansanten). Introduced in Season 2, Patty was a work colleague of Barry's, who ended up in a romantic relationship with him as the season went on. While Patty was essentially kept in the dark about Barry's big secret until her very last scene, she made an impact on the show, and still has fans to this day. Some would argue that Patty was given the short end of the stick in the larger world of The Flash, but there's no reason why she couldn't get a little bit of love in the Funko POP world. 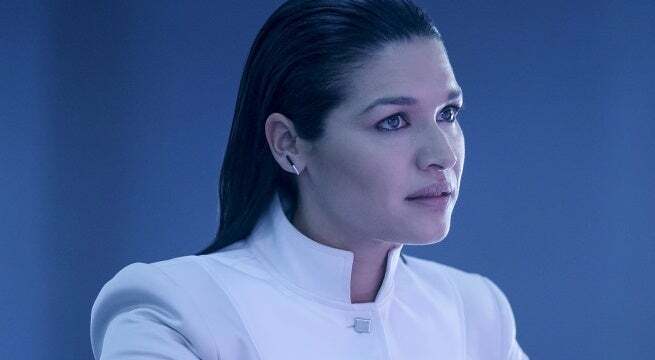 Moving back to more recent events of The Flash, last season introduced viewers to one of the most prominent female antagonists the show has had left - Marlize DeVoe/The Mechanic (Kim Engelbrecht). The reliable wife of The Thinker, Marlize spent most of Season 4 following along with her husband's plan of "The Enlightenment", before she began to realize that she hadn't had as much consent in the whole situation as she thought. The storyline took a pretty poignant turn, as Marlize agreed to help Team Flash take down Clifford, with her ultimately ending up being the one pulling the final plug on his digital consciousness. We wouldn't put it past Funko to make a POP for The Thinker (especially with the intricate design of his Thinking Chair), but it would be awesome to see a POP version of Marlize as well. 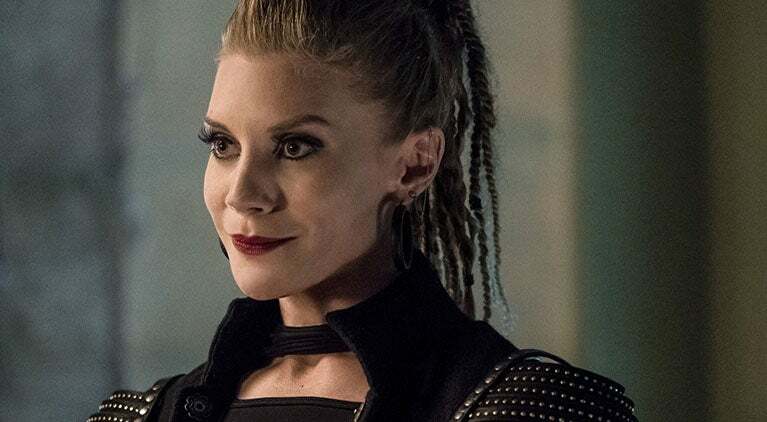 Season 4 also gave The Flash another antagonist/ally, in the form of Amunet Black (Katee Sackhoff). Amunet was introduced as the leader of a metahuman smuggling ring, with metal-based powers and a frequent flair for the dramatic. While she went toe-to-toe with Team Flash sometimes, she ended up proving to be a big ally to them as the season went on, especially to her former employee, Caitlin. Amunet's costume design is unique and fun enough for the Funko POP world, plus Sackhoff has been given a POP counterpart in the past. Yes, she's only been onscreen for a handful of scenes. Yes, The Flash fans only just found out her identity in the Season 4 finale. But as Patton pointed out in her post, there should totally be a Funko POP of Nora Allen/XS (Jessica Parker Kennedy). After a half-season of confusing viewers, Nora revealed that she's Barry and Iris' speedster daughter from the future, who has returned to the past with some "big mistakes" on her shoulders. As the promotional material for Season 5 has already shown, Nora will also bring a pretty snazzy, Iris-inspired suit with her, along with the youthful enthusiasm that Barry had in his early days as a speedster. It's safe to assume that Nora is going to be a fan-favorite as Season 5 rolls along, so hopefully it won't be too long before she gets a POP counterpart as well. Which female characters from The Flash would you like to see given the Funko POP treatment? Let us know what you think in the comments below.